GraysOnline is Australia’s leading online multi-channel ecommerce platform with an extensive database of buyers and sellers within the civil construction and mining industries. According to Adrian Paley, Head of Civil at Grays, we have seen a steady increase in civil gear coming onto the market in the last two months and we see this trend continuing. One of the main drives behind this increase in sale listings is the progression of several major construction projects around the country. For example, the Ichthys LNG project in the Northern Territory is one of the major projects Grays have been appointed to assist with the sale of assets. Over the coming months, there will be hundreds of shipping containers full of small construction equipment for sale, plus tenders for larger volumes of cable, steel and specialist machinery, large dome shelters, demountable buildings and ablution blocks. The WestConnex roads and infrastructure project in Sydney is another ongoing project which is expected to generate significant quantities of surplus equipment for sale. In September, Grays conducted national rolling auctions of surplus equipment for Ostojic Group, Ostojic specialise in transport, construction and quarrying. The sale included, heavy spec prime movers, concrete agitators, side tippers, road train dollies, dry powder tankers, water tankers and assorted earthmoving equipment. Ostojic took advantage of increased activity in the mining sector in WA and QLD to change over their equipment and market their surplus gear to national buyers. “GraysOnline are the industry leaders for disposal of surplus equipment from major infrastructure projects. A major goal of ours is to be across every project in the country because our sale platform offers our clients unmatched access to national and global buyers resulting in faster sale times and less cost,” Mr Paley said. 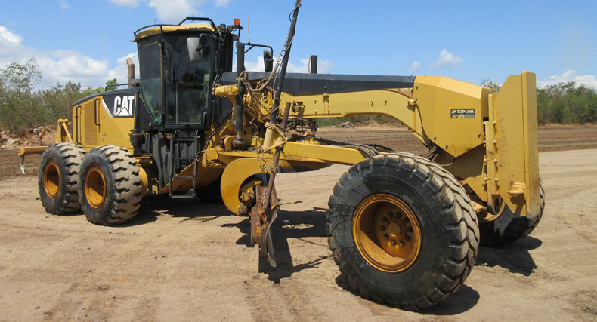 Make sure you also check out the monthly earthmoving auctions running 29 November – 5 December. Looking to buy or sell equipment? Visit http://www.graysonline.com for more information.